Prepare to have your mind blown, because if this theory turns out to be true, Jon Snow's future doesn't look promising at all. The latest "Game of Thrones" Season 8 photos from the set saw Kit Harington (Jon Snow) and Lena Headey (Cersei Lannister) filming a scene together in Dubrovnik (King's Landing) along with director David Nutter. This gives us a clear notion of when this meeting will take place. 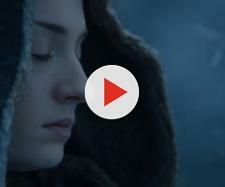 Nutter is in charge of the episodes 1, 2, and 4, and since we don't see Jon Snow coming to King's Landing early in the season because he hasn't even made it to Winterfell yet, it stands the reason to believe that these scenes will take place in Episode 4. Now that we put this scene into the specific time frame, it's time to talk about what could possibly happen between Jon Snow and Cersei Lannister in "Game of Thrones" Season 8. Prepare to have your mind blown, because if today's theory is to be believed, things are going to take an unexpected turn. Why would Jon Snow go to Cersei Lannister, again? Before we explain what will happen once Jon Snow and Cersei Lannister meet again in Episode 4, let's talk about the events that will lead up to that moment. 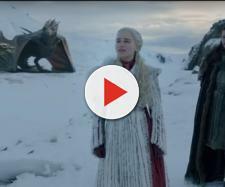 Given the fact that director Miguel Sapochnik who brought us "Hardhome" and "The Battle of the Bastards," is in charge of Season 8's episodes 3 and 5, it stands the reason to believe that these episodes will revolve around the big battles. — Game of Thrones Season 8 theories (@GOTS8theories) 23. фебруар 2018. According to Reddit user MrSilenceT's mind-blowing Season 8 outline, Jon Snow, and company will lose the Battle at Winterfell in Episode 3 against the Army of the Dead, but the main characters will be able to escape on the back of the dragon to regroup somewhere in the Riverlands. This is where the heroes will split up. Bran will go to the Isle of Faces, Daenerys Targaryen will stay behind because of her pregnancy, and Jon Snow and Jaime Lannister will go to King's Landing and once again try to convince Cersei to help them defeat the dead. One suicide mission, after another. That's Jon Snow's journey in a nutshell. Whether we are talking about him going up against the Boltons despite his army being seriously outnumbered, or that ridiculous wight hunt mission, Jon Snow simply can't help himself. It is almost as if this man wants to get himself killed again. That wouldn't be too much of a surprise, because, after all, he has that honorable Stark blood running through his veins. Jon Snow is, by all accounts, a typical hero, so he has to survive the whole thing, right? Wrong. According to MrSilenceT's theory, once Jon gets to King's Landing, he will be imprisoned and put on trial. And for Jaime, it would be the Mad King situation all over again. Only this time he will be dealing with Cersei who at this point will be as mad as the Mad King because of her miscarriage. She will execute Jon Snow on the spot in some cruel way, just like Aerys did with Jon's grandfather and uncle. And that's how history will, once again, repeat itself. As for Jaime, he will be so discussed by his sister's actions that he will choke the life from her, thus fulfilling the "Valonqar" prophecy. This may sound anti-climactic to some of you, but to quote Ramsay Bolton, if you thought "Game of Thrones" will have a happy ending, you haven't been paying attention. And next time, we will talk about Daenerys' fate and Westeros' unlikely hero. Stay tuned.